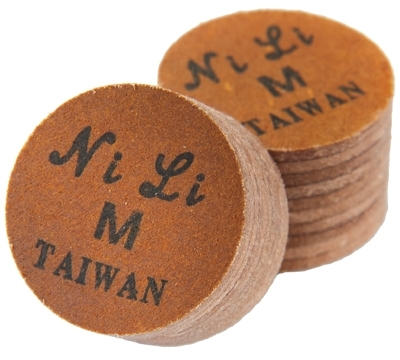 Nili 14mm tips are made of 10 layers for hand selected premium pig skin. Nili’s provide a consistent hit and holds shape without mushrooming. Hardness Rating: Soft 67.4, Meduim Hard 79.1, Hard 83.5. Specify hardness when ordering.